Hello everyone. I know it has been a long time since I posted, but I have not been doing a lot of art this summer. I have been doing a lot of novel reading! I can’t remember the last time I spent a summer just reading for pleasure. For many years my summers were spent preparing for the school year, but now only our daughter is still in school, and she will be going to a charter school. So I will just be a helper at home (I think) and am not having to prepare for anything this summer which has been weird but nice! 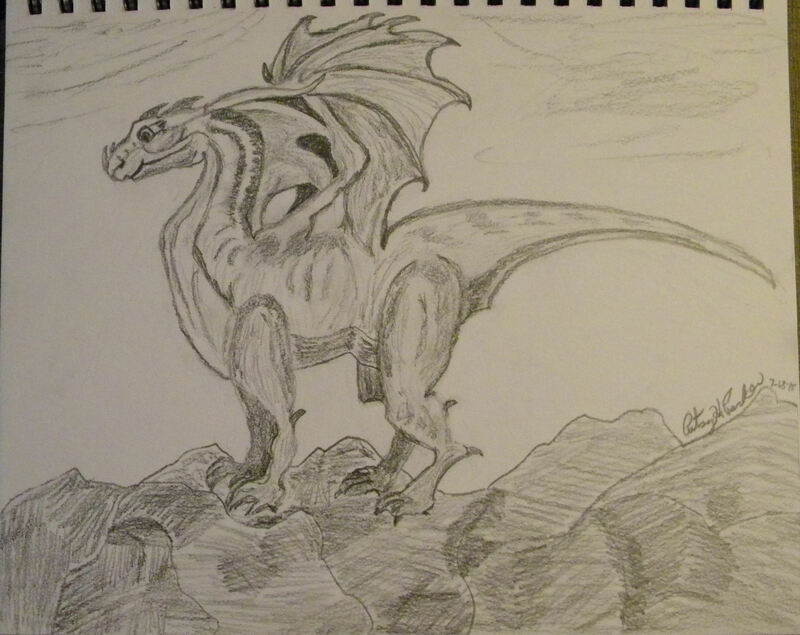 So here is a dragon I drew while they were gone which I didn’t spend a great deal of time on. 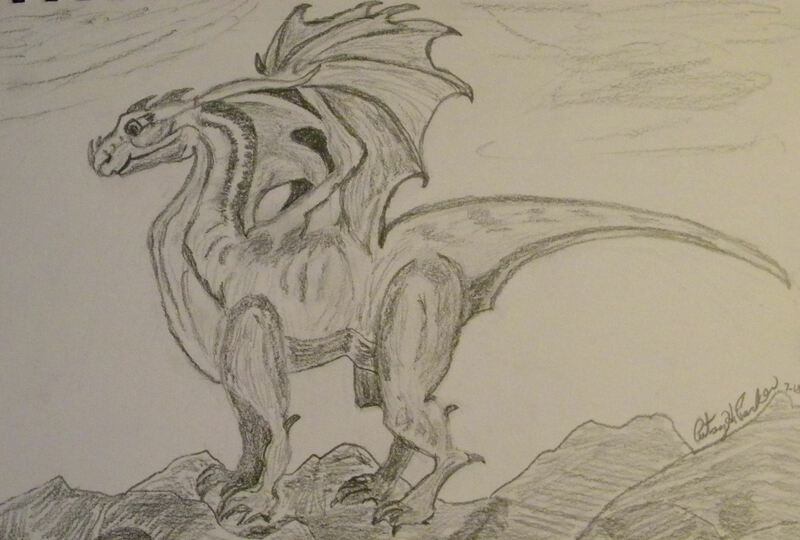 Tomorrow I will post my Dungeons and Dragons character I drew, too. Posted on August 4, 2015, in Art Talk and tagged pencil drawing. Bookmark the permalink. 8 Comments.